In accordance with section 506A(c)(2) of the Trade Act of 1974, as amended (19 U.S.C. 2466a(c)(2)), I am providing advance notification of my intent to suspend the application of duty‑free treatment to all African Growth and Opportunity Act (AGOA)-eligible goods in the apparel sector for the Republic of Rwanda 60 days after the date of this notification. 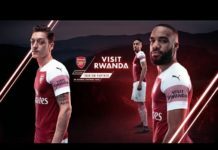 The Government of Rwanda continues to impose barriers to United States trade, specifically, barriers affecting certain United States exports of apparel products. In spite of intense engagement by United States officials with the Government of Rwanda, the United States has been unable to resolve this matter. I have therefore determined that the Government of Rwanda is not making continual progress toward the elimination of barriers to United States trade and investment, as required by section 104 of the AGOA. The suspension of duty-free treatment described above is a more appropriate response in these circumstances than the termination of the Government of Rwanda’s designation as a beneficiary sub‑Saharan African country under AGOA, as it promotes the continuation of efforts between the United States and Rwanda to resolve outstanding issues. Although the Government of Rwanda has failed to meet critical benchmarks required to address these issues to date, it continues to express an interest in resolving United States concerns. I will continue to assess whether the Government of Rwanda is making continual progress toward the elimination of barriers to United States trade and investment in accordance with the AGOA eligibility requirements, as well as whether this suspension of benefits is effective in promoting compliance with those requirements.